Justice For Kennedy: Was RFK and JFK conspiracy theorist? 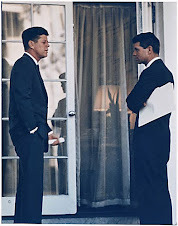 Was RFK and JFK conspiracy theorist? Philip Shenon has an article in the Boston Globe. He shows an affidavit the WC wanted Bobby to sign. He didn't sign it. The decision to scrap the affidavit is another example of the extraordinary deference paid to the attorney general and his family by Chief Justice Earl Warren, the commission’s chairman. 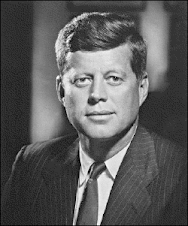 In an unsworn August 1964 letter to Warren—already public and long seen by historians as evasive, if not as an effort to mislead the commission outright about what he really knew and suspected—Kennedy said he was aware of “no credible evidence to support the allegations that the assassination of President Kennedy was caused by a domestic or foreign conspiracy.” Kennedy’s private papers, however, suggest he struggled over signing even the unsworn letter to Warren. The newest documents were released on the personal website of a former top commission staff lawyer, Howard P. Willens, who was deployed to the commission by the Justice Department and served as the department’s day-to-day liaison with the investigation. Willens, an 83-year-old Washington lawyer whose recent book, History Will Prove Us Right, defended the commission’s legacy, saved files from the investigation and is releasing hundreds of them this year, for the Warren Report’s 50th anniversary. The affidavit above was prepared for Robert Kennedy to sign stating that he knew of "no credible evidence" of a "domestic or foreign conspiracy" in his brother's assassination, but Kennedy never signed the document. David Slawson, another key commission staffer, told me that the files released by Willens were a reminder of the error made by the commission in not insisting that Robert Kennedy testify. “With hindsight, he absolutely should have been required to testify,” said Slawson, who is retired from the faculty of the law school of the University of Southern California. He stressed that he had no involvement in the commission’s interactions with Kennedy or with the Justice Department in 1964. “But looking back, of course it was a mistake not to make Bobby testify,” Slawson said. 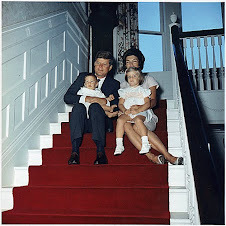 “If we questioned Jackie, why didn’t we question Bobby?” In addition to the first lady, the roster of senior officials required to give sworn testimony to the commission included FBI Director J. Edgar Hoover, Secretary of State Dean Rusk and Director of Central Intelligence John McCone. 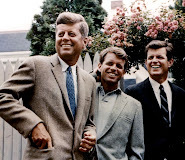 For my book, which focused on the history of the Warren Commission, I found Robert Kennedy’s relationship with the commission to be deeply disturbing, since he insisted in public that he believed the commission’s report and accepted that Oswald acted alone—but said precisely the opposite to the people closest to him. What would he have wanted to hide from the commission? Many things, including his hands-on involvement in the war on Castro, possibly including CIA plots in which the spy agency recruited the Mafia to carry out Castro’s murder. The disclosure of the existence of the CIA-Mafia plots could have damaged, or even destroyed, Kennedy’s future political prospects since he had made his reputation, first on Capitol Hill and then at the Justice Department, as a Mob-buster. Other commission staff members said that Willens had been in an awkward position on the staff, since he was serving as both a senior member of the commission’s staff—he was chief deputy to J. Lee Rankin, the commission’s general counsel—and as the panel’s representative to his ultimate boss back at the Justice Department: Bobby Kennedy. Previously released commission files show it was Willens who relayed the message to the commission that Kennedy wanted to be excused from testifying—a request that Warren accepted, apparently believing it would be unseemly to ask the grief-stricken Kennedy to answer questions about his brother’s death. 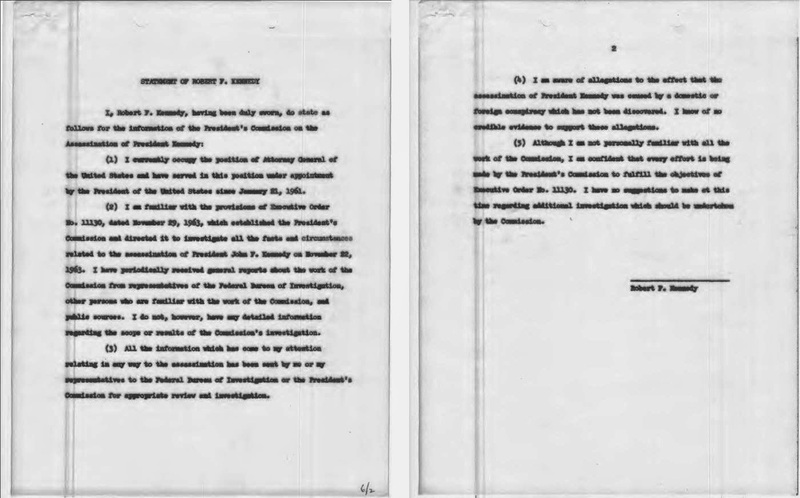 The Willens files, in addition to suggesting that Kennedy was paying closer attention to the investigation than was previously known, contain other revelations, including that the attorney general was the key intermediary in helping the commission set up a brief sworn interview with former First Lady Jacqueline Kennedy. In a private memo to the attorney general in June 1964, Willens sought Robert Kennedy’s help in arranging a meeting to take sworn testimony from Jackie, suggesting that the attorney general had veto power over whether the former first lady would testify at all. Attached to the memo was a list of dozens of proposed questions for the former first lady, including how many shots she had heard and how her husband had reacted to the first bullet that hit him. Ultimately, few of the detailed questions were asked when, later that month, Warren and Rankin, the general counsel, went to her home in Georgetown, with her brother-in-law in attendance. In her testimony, Jackie Kennedy recalled the events in Dallas of the day of the assassination, including some of the gruesome details of what went on in the president’s limousine when shots rang out in Dealey Plaza. The session, which was transcribed and appeared in an appendix to the commission’s final report, lasted just nine minutes. Other files on Willens’ site offer new evidence of the Warren Commission’s hostility toward the FBI; inside the commission’s staff, the bureau was seen as hindering the investigation to hide its own blunders before the assassination. The files include a draft letter to FBI Director J. Edgar Hoover in which the commission effectively accused the bureau of trying to cover up evidence that documented the extent of the FBI’s surveillance of Oswald in the weeks before Kennedy’s murder. The February 1964 draft, which was ultimately not sent, possibly out of fear of the wrath of the powerful Hoover, said that Warren was “seriously disturbed by what appears to be a deliberate effort to conceal the facts from the commission.” The draft letter was prepared after the discovery by the commission’s staff that, in a typewritten account of the contents of one of Oswald’s notebooks, the FBI had omitted a key item that had appeared in Oswald’s handwriting in the notebook—the name, phone number and license plate number of an FBI agent who had him under surveillance in the weeks before the assassination. Commission staffers said in interviews for my book that they believed the FBI had omitted the information in hopes of hiding just how closely the FBI had been trailing Oswald in the fall of 1963. The documents released by Willens may hint at what revelations are still to come about the workings of the commission and other secrets kept from the investigation. The National Archives has confirmed that more than 1,000 documents related to the president’s murder are still being withheld from public view, most of them at the request of the CIA. Under a 1992 law passed as a result of the furor over Oliver Stone’s conspiracy-laden film JFK, all of those documents must be released publicly by October 2017. Some historians and other scholars suspect the still-secret files must reveal the names of people still living who worked for American intelligence in the early 1960s and who might be in danger if that spy work was revealed. Will the release of those last files end the dark suspicions of a conspiracy in President Kennedy’s death? Almost certainly not. If even Robert Kennedy was a conspiracy theorist, it is hard to see how millions of other Americans will ever be convinced to accept that Lee Harvey Oswald acted alone.